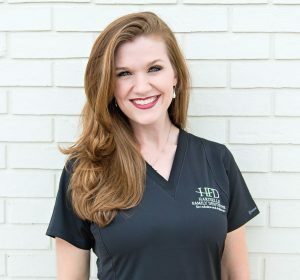 Dr. Maggie is a native of North Alabama, born in Pennsylvania, but raised in the small town of Hartselle. She lived in central Alabama for over eight years, but now she and her family enjoy life in “small town America”. The McKelvey family also includes her husband Grant, their two sons Barrett and Bragg, and their two pups – Cash and Derby. The McKelveys are active members of their church and community. They enjoy outdoor activities, including hunting, riding horses, playing with their boys, and traveling when watching college football isn’t keeping their autumn weekends busy! 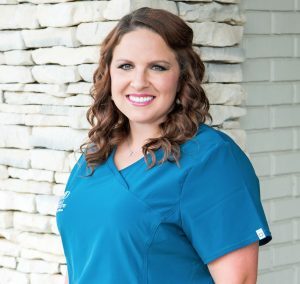 Dr. Ashley grew up in Danville, AL and has recently moved back to the area. She is an active member in her church where she teaches high school girls Sunday School. She enjoys spending time with her family and friends, traveling, shopping, cooking, being outdoors, and Alabama sports. 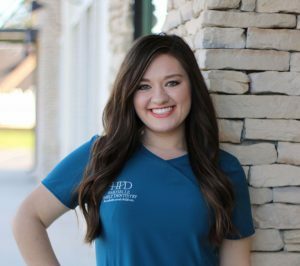 She also has a passion for missions and serving her community. 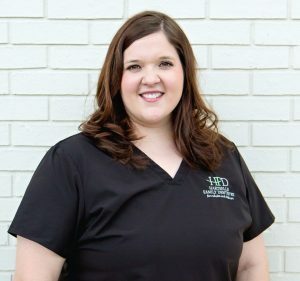 Keri is a lifelong resident of Danville, AL where she lives with her husband, Adam, and her two children – Ellie and Gavin. The Tuckers enjoy being outdoors on their family farm. They are also active members of their church, and they love to travel when they are not busy at the ballfield with their children! Stephanie is a former “Military Brat”, so she spent most of her life moving around while her father served in the United States Air Force. His retirement brought them back to their family’s hometown of Falkville, Alabama. She married her husband Trey in 2011 and they now have 3 children: Hannah, Tenley and Wesley. She loves spending her free time with her family, painting, cooking, baking and traveling. 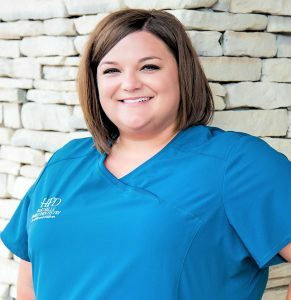 She has been a hygienist for 9 years and is passionate about her job. Brianna was raised in Priceville, AL. She married her high school sweetheart Jacob in 2014. He served in the United States Army and was stationed at Fort Leavenworth, Kansas for four years. While there, Brianna worked as a dental assistant for the Army. They now reside in Somerville, AL and have one son, Peyton. She and her family enjoy spending time with family, being outdoors, traveling and crafting. 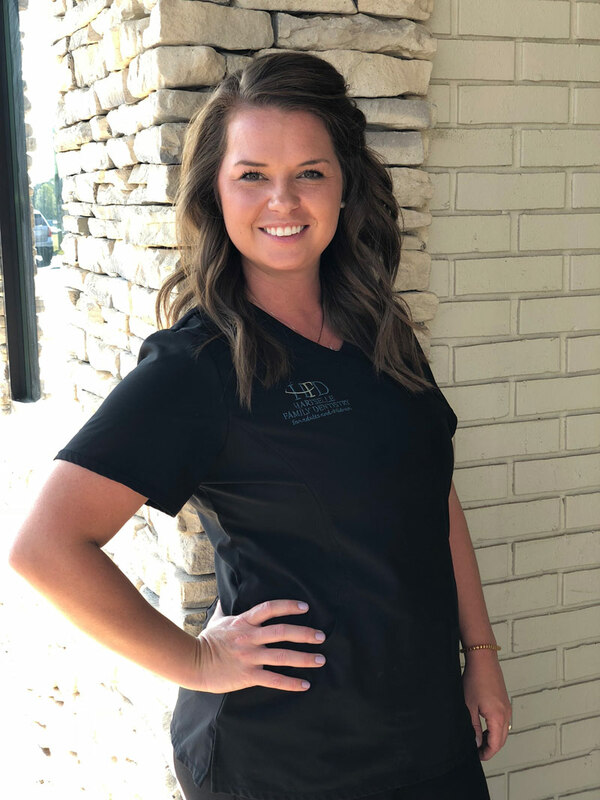 In addition to working at Hartselle Family Dentistry, Brianna is an instructor at North Alabama Dental Assisting School. Beth grew up in Danville. She now lives in Hartselle with her high school sweetheart, John Foote. They have 2 children and 3 fur-children. Beth enjoys summers at the beach and winters in Gatlinburg. Beth’s hobbies include binging Netflix and Lifetime movies, sports with her children, and crafting.